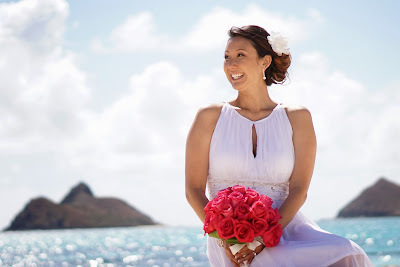 Beautiful Bride Jaymee at Lanikai Beach, Kailua Hawaii. Truly!! Beautiful bride. Well I agree that the wedding is most important day for both bride and groom and for the day, they really put great efforts to make the day beautiful. You know I have planned everything for my wedding reception, and now I am just waiting for my big day.